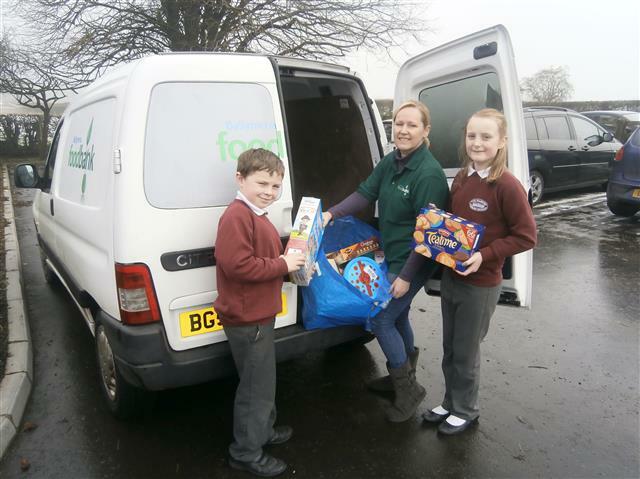 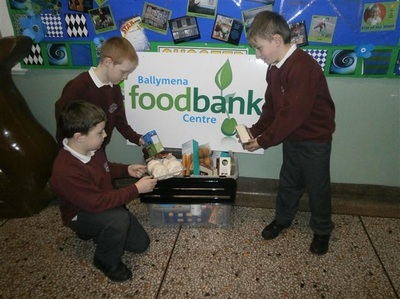 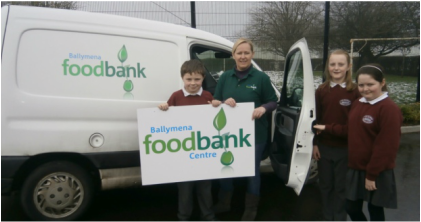 The Diamond Primary School was the first school in the area to be an official collection point for the Ballymena Foodbank, which aims to provide grocery items for those in need. 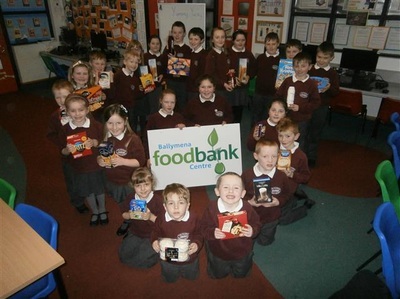 It is a wonderful scheme headed up by Mrs Scott in school, who also volunteers with the charity. We have a box in the main corridor for any grocery donations (non-perishable) and these will be donated to this very worthy cause. 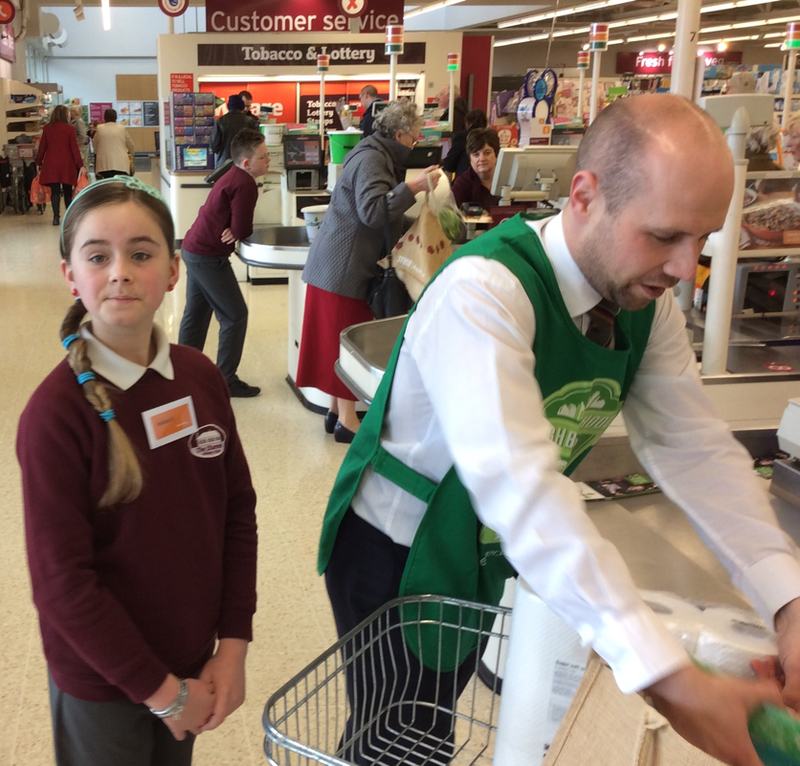 Keep an eye on news sheets for more information. 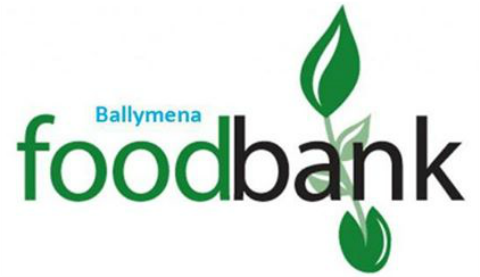 Click on the document below to view a list of suitable items to donate. 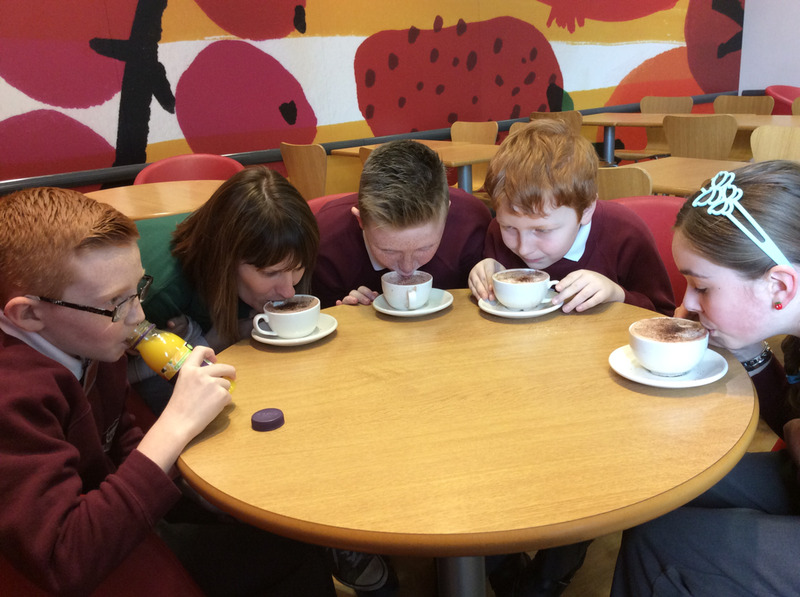 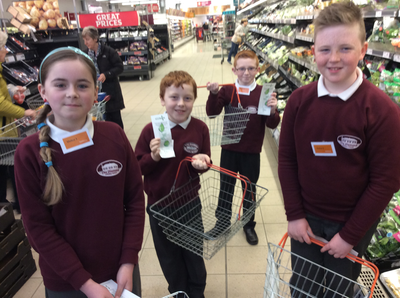 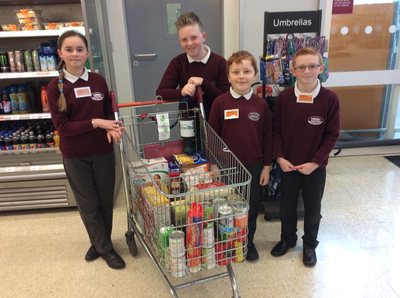 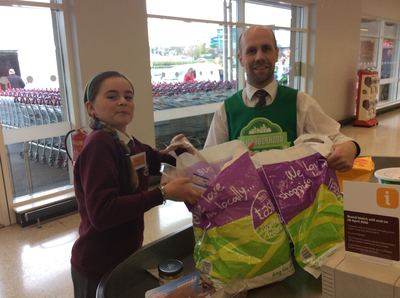 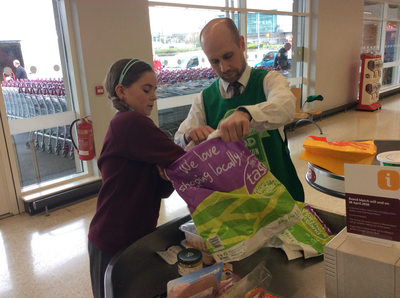 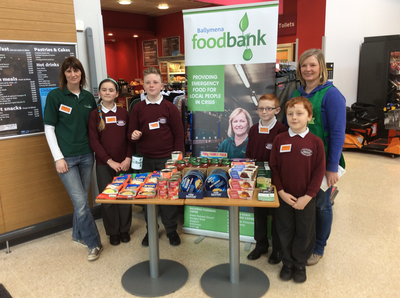 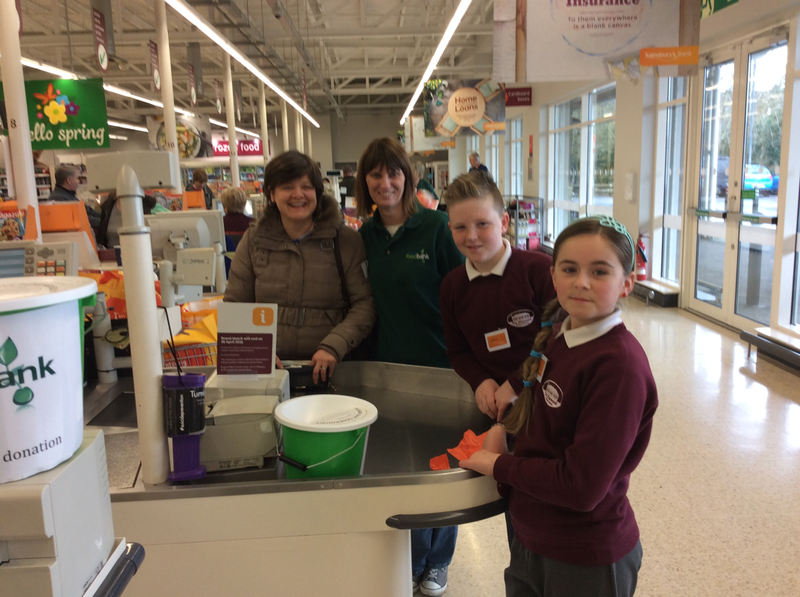 Eco-committee kids got involved with a Foodbank collection at Sainsbury's on 15th April.